Enlist HD For Lewisville Foundation Repair. Crack Issues Require Solutions. Get Free Estimates. Do you require Lewisville foundation repair for fractures or other issues? If so, hire HD Foundations. Our company resolves all kinds of foundation problems. If you discover damage on your Lewisville house and have foundation repair issues, we’re contractors you can rely on. HD Foundations services the entire DFW metroplex. We also offer an outstanding warranty. Why Enlist HD Foundation Repair In Lewisville? Because we service concrete slab foundations and pier and beam structures. When we restore your house foundation, we do it right. Our foundation company has an A+ Better Business Bureau rating. We have years of experience dealing with troublesome shifting soils. If you are concerned with your slab and require cracked foundation repair we’ll stop those problems by carefully lifting your house. HD Foundations installs interior and exterior pressed steel piers and pressed concrete foundation piers. We’re Lewisville foundation repair contractors that service residential properties, including apartments and townhouses. 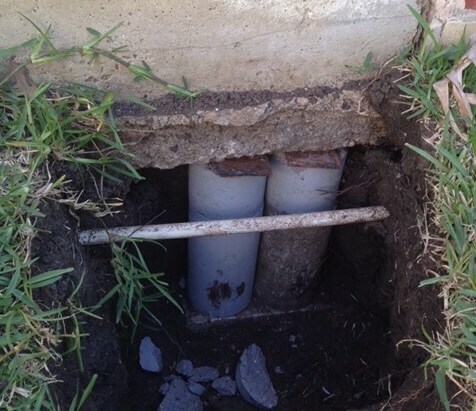 We stop structural foundation damage caused by foundation movement, weather and clay soils. Temperatures ranging from below 18 degrees to 106 degrees can wreak havoc on foundations. 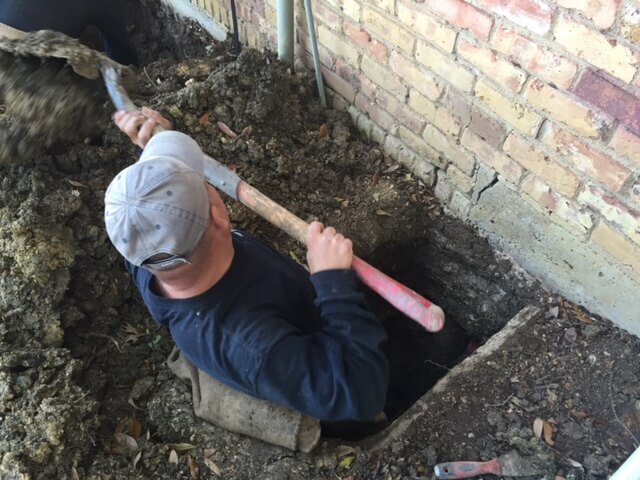 HD Foundations offers a lifetime foundation repair warranty to customers in Lewisville and surrounding cities. If you require house leveling anywhere in the DFW metroplex, we can help. Having your structure serviced terminates a variety of issues. This includes exterior brick cracks, floor fractures, gaps in walls, ceilings and more. It’s common for concrete slabs foundations in North Texas to start cracking and sloping. We’ll protect your Lewisville property. 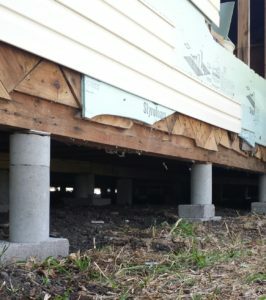 Making repairs to your foundation eliminates concerns such as creaky sagging floors in pier and beam houses, as well as moist, musty crawl spaces. Count on us for crawl space repair. If foundation drainage is a problem, we can handle that, too. HD Foundations offers a variety of foundation repair solutions. 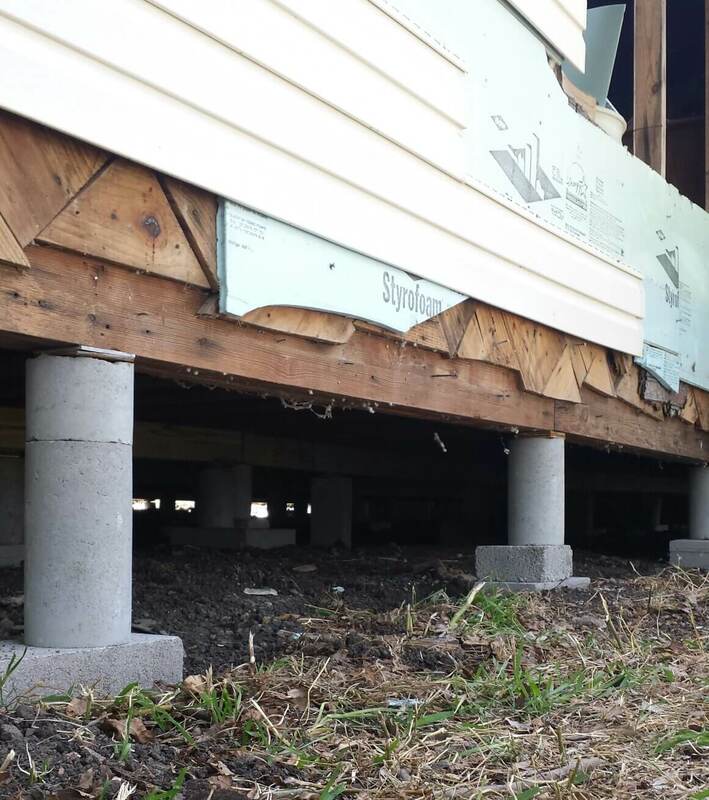 The pressed pilings we install in Lewisville prevent foundation settlement. They restore your home to its correct position. In some cases you may simply need to have foundations shims installed or adjusted. At HD Foundations, we frequently re-shim foundations. To ensure your structure is protected, enlist us to perform a foundation evaluation. Whether you have an apartment building, house or other residential property in Lewisville, foundation repair estimates can be scheduled online free. Or, if you prefer, just phone us today.